Bitcoin Classic has confirmed it is shutting down as developers claim Bitcoin Cash (BCH) will become ‘Bitcoin’ by May 2018. “It is now up to you which chain will gain the most traction. It is now up to the next billion people to start to use Bitcoin Cash. In at most six months I’m sure we’ll just drop the ‘Cash’ and call it ‘Bitcoin,’” he stated. BCH shot up in price over 35 percent in anticipation of a new hard fork set for Nov. 13, reaching its highest value almost since it debuted. 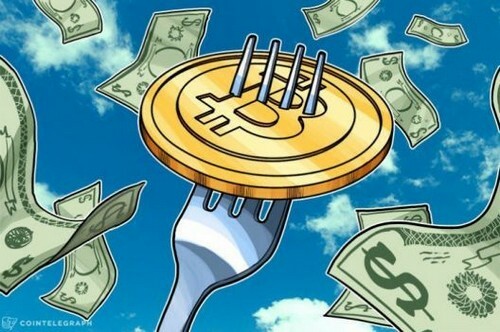 In the aftermath of SegWit2x’s apparent failure, funds appear to be flowing into the rival Bitcoin fork as investors hedge bets over a duplicate chain appearing. “The fact that the Legacy chain is stuck at 1 MB, and likely always will be, confirms the Cash chain’s viability. Now the market will decide,” Zander added. Until news of the hard fork, BCH had largely held a sideline position beyond significant publicity efforts led by Bitcoin.com’s Roger Ver. Now, further public support is coming from cryptocurrency figures including Rick Falkvinge, founder of the Finnish Pirate Party and regulator commentator. With recent developments, I’m putting all available dev resources to retool my software for #Bitcoin Cash. I suspect I’m far from alone. Ver himself this week also confirmed Bitcoin.com would only advocate and deal in BCH. #CT_questions Do you think #BitcoinCash will become the official ‘#Bitcoin’?